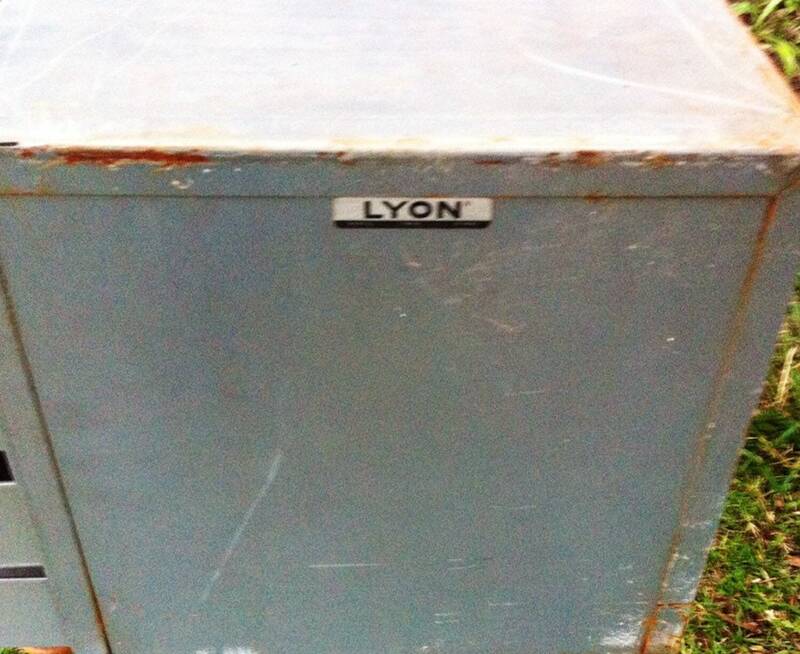 This listing is for a set of four (4) vintage Lyon metal storage cabinets. Each cabinet has 24 part drawers. The group of cabinets have a total of 96 individual sliding deep drawers. 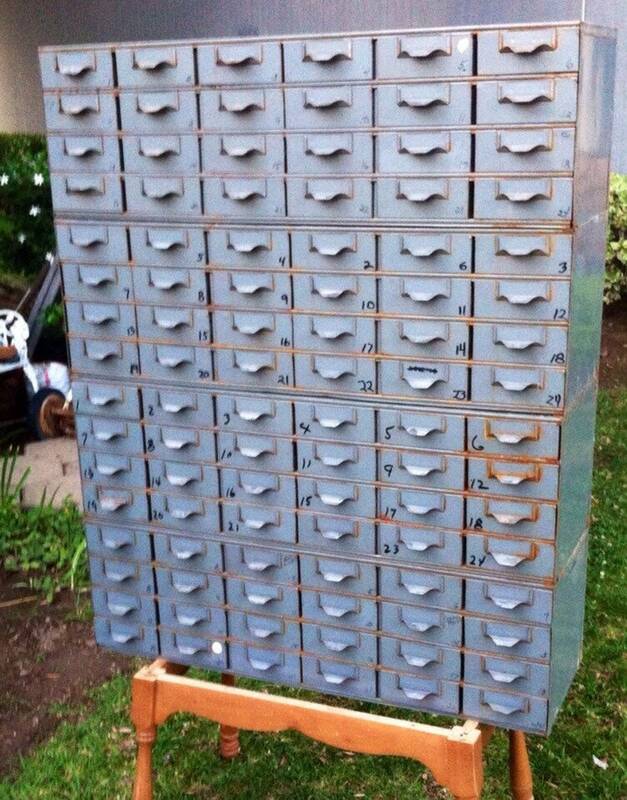 This Industrial storage cabinet resembles a library card catalog index or card filing cabinet boxes from the 1950's. 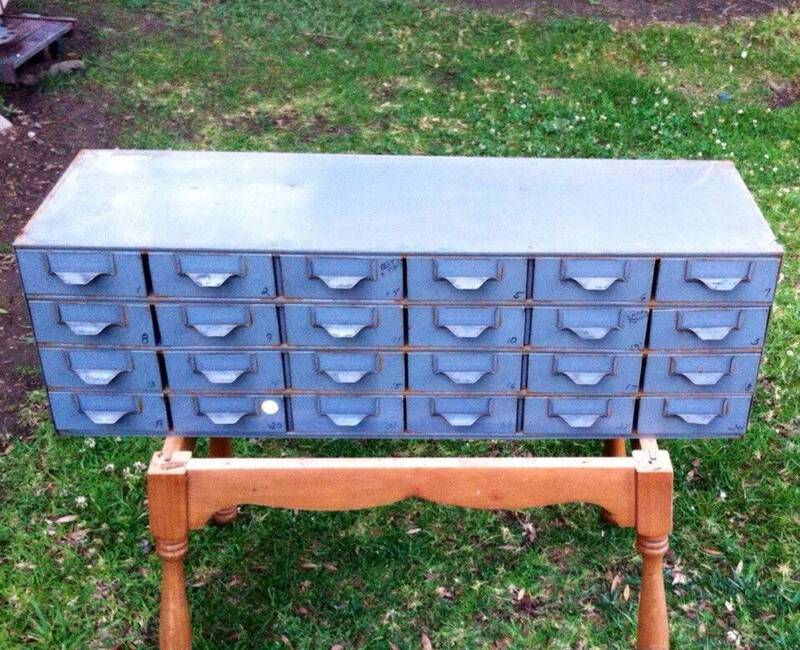 Great potential for up cycling and decor. 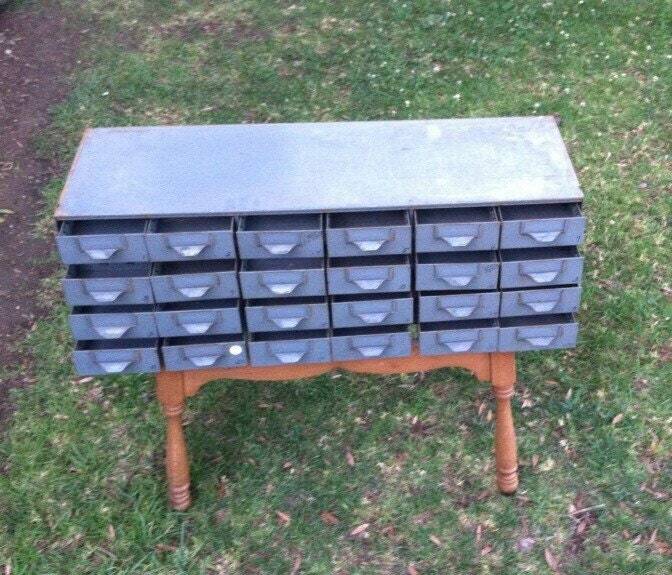 ▪️Condition: Slight surface rust but nothing that impairs the function of the cabinet. Adds to its overall vintage look. 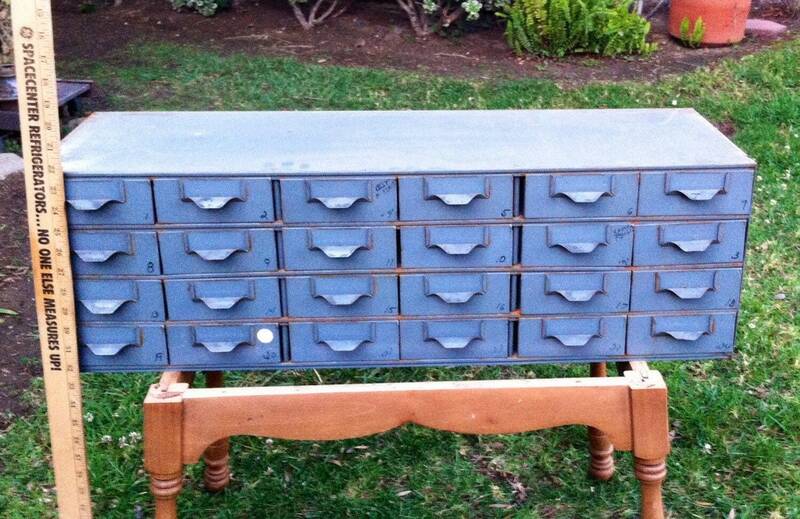 Individual cluster of 24 Drawers available for $250 each. Please message to discuss availability.